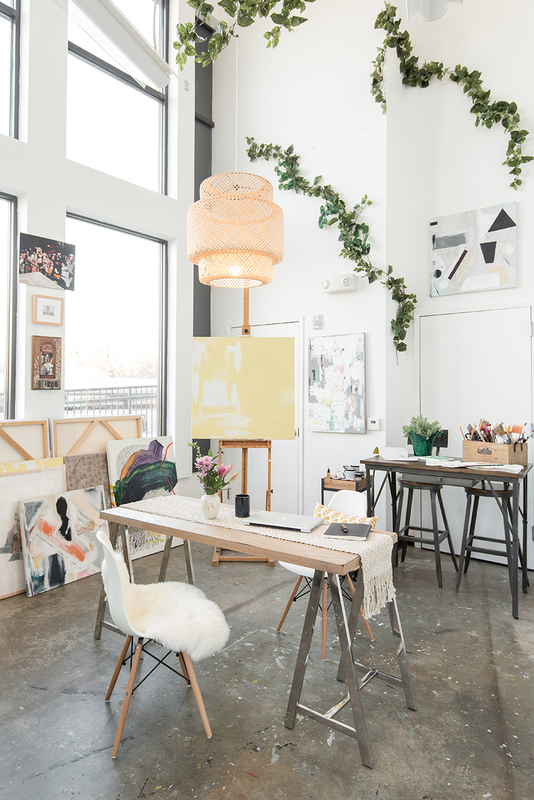 This art gallery needed to be much more than a space to showcase curated art exhibits; our challenge was to create a welcoming space that would double as an artists' workshop as well as a place for community gatherings and creative events. 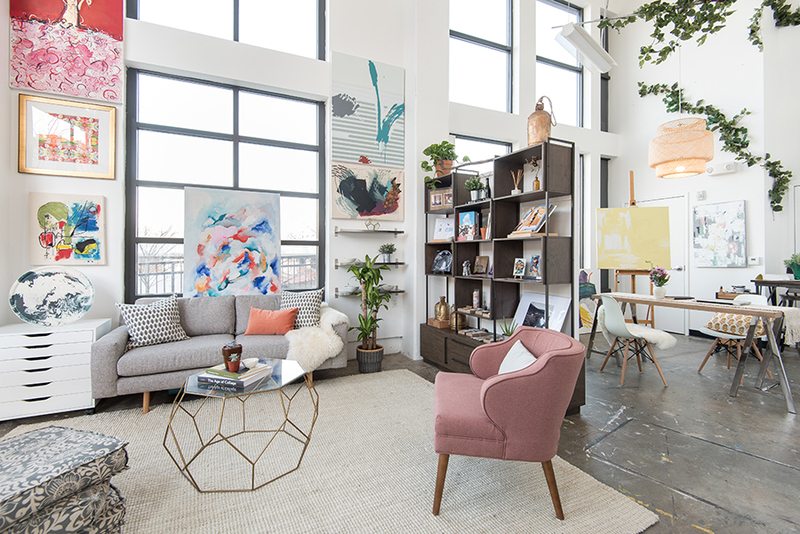 We included natural elements that bring serene vibes to a color-splashed space. A bamboo chandelier, wood elements and silk vines that "grow" up the walls, were incorporated in the decor for extra whimsy. Published: Washingtonian - September 2017. 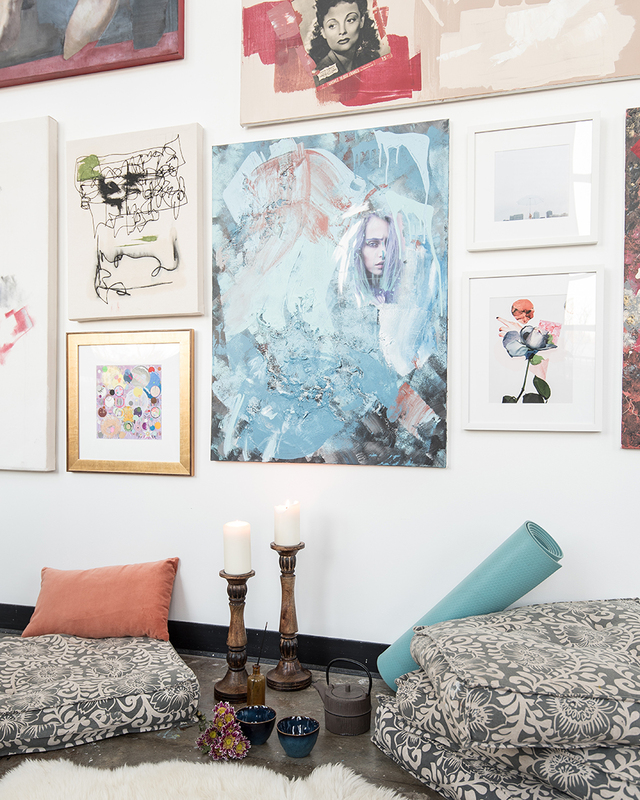 A neutral color scheme with wood elements and white walls allow the colorful artwork to draw focus.